Use Telegram From The Command Line - Did you ever think to send a Telegram message via terminal / command line? Well, I would tell you how to install and use Telegram CLI in Linux terminal like a pro. Telegram is a cloud-based mobile and desktop messaging app with a focus on security and speed. It can be WhatsApp alternative, offers super fast, simple and free to use. You can use Telegram on all your devices at the same time to send regular messages, photos, videos and files of any type (doc, zip, mp3, etc), as well as create groups for up to 5000 people or channels for broadcasting to unlimited audiences. Your messages sync seamlessly across any number of your phones, tablets or computers / desktop app including Linux, Mac OSX, and Windows. Telegram-cli lets you perform regular message like send, receive and read messages from your contacts and groups. This screenshot how it looks like in my Ubuntu Linux. 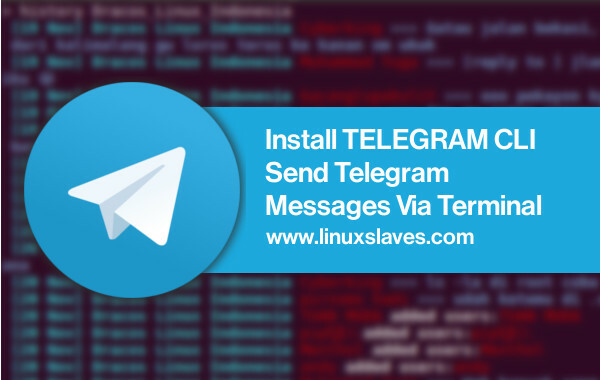 For those who using Ubuntu 16.04 LTS Xenial Xerus and Ubuntu 16.10 Yakkety Yak, you can install telegram-cli through the Snap. Step 3 - A verification code will be sent to your phone. If you have logged in other device, the code also willl be sent via a message. Enter the code to authenticate. 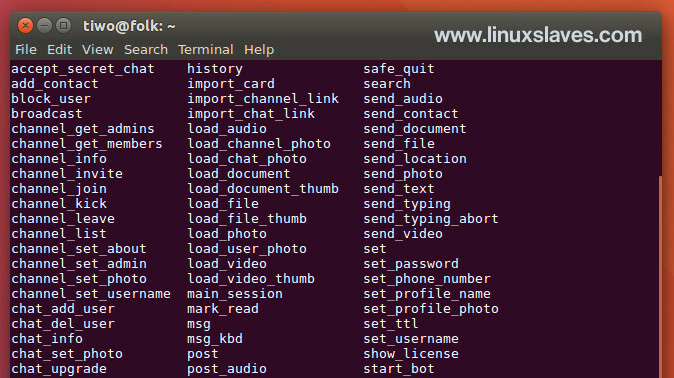 These were all to install and use Telegram command line in Ubuntu terminal. Hope you've enjoyed reading this post. Thanks for visiting us!